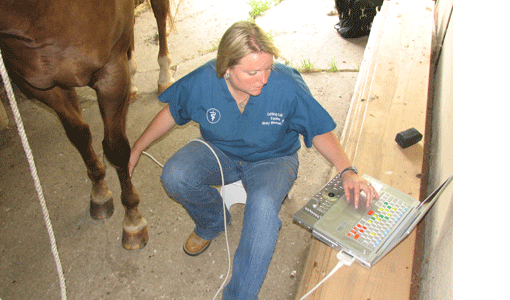 A mobile ultrasound system images soft tissue, such as tendons and ligaments, in our equine patients. Abdominal ultrasound is also available to image kidneys and small intestinal blockages. We can also view the bladder, uterus and ovaries. These images are stored in office for email, and offsite back up storage.